The Life Esidimeni tragedy continues to haunt the families of the victims with the news of the re-election of former Gauteng Health and Social Development MEC Qedani Mahlangu into the ANC’s Provincial Executive Committee (PEC) serving the most recent blow. These Life Esidimeni hearings revealed the silent suffering of one of the nation’s most vulnerable groups: psychiatric patients. They also demonstrated the inadequacies of an overburdened and maladministered public mental health care system. Meanwhile, South Africa’s 161 984 prison population relies on 79 psychologists nationwide to cater to the needs of 984 mentally ill prisoners, according to the Judicial Inspectorate for Correctional Services (JICS) 2015/16 report. This leaves mentally ill prisoners with limited possibilities for adequate care. The Wits Justice Project (WJP) spoke to a number of inmates about their experience of mental health care behind bars. These are the stories of two such prisoners. In a modest room packed with women dressed in variations of navy blue prison uniforms, Puleng* sits among fellow inmates and their visitors at Johannesburg Prison’s Women’s Correctional Centre. A lifetime struggle with bipolar disorder is one factor that contributed to her landing in prison. Puleng was diagnosed with Bipolar 1 Disorder in 2002 after years of erratic mood swings and her first suicide attempt at the age of 12. She says there is a history of mental illness in her family. An uncle committed suicide when he was 25 years old and a female cousin was diagnosed with Bipolar 2 Disorder earlier this year, says Puleng. Her family struggled to accept her diagnosis despite some of her aunts working as nurses and often exposed to mental illnesses and disorders. “I’m from a family of medical professionals but the stigma is still there,” she says. At the age of 31, Puleng found herself in a psychologically abusive marriage which was followed by a physically abusive relationship with a man named Morris*. Three months into their relationship, Morris threatened to drive into an oncoming train after Puleng threatened to leave him. When she tried to escape, he allegedly grabbed her by her hair slamming her head against the dashboard. She fainted and when she came to, awoke to find him holding a knife to her throat. They struggled and he dropped the knife, instead trying to strangle her. In a final attempt to defend herself, Puleng says she picked up the knife and stabbed him once in the chest. He died as a result of the wound and Puleng was sentenced to 10 years imprisonment. According to the Judicial Inspectorate for Correctional Services (JICS) 2015/16 report, 984 inmates were diagnosed with mental illness. The most common illnesses were psychosis, depression, bipolar disorder and schizophrenia. The report records 79 psychologists, who service 243 prisons nationwide. The DCS, much like national healthcare – which includes mental health care – is understaffed and under-resourced. DCS spokesperson, Singabakho Nxumalo says the department's Offender Rehabilitation Path (ORP), outlines the different processes that should take place from when an inmate is admitted to correctional facilities. This is followed by a comprehensive assessment within 24 hours of the inmate's arrival. The assessment is used to design a nursing health plan to fit the needs identified. “Thereafter, within 21 days, the inmate must be further assessed by a multidisciplinary team (or individual professionals) and informed of the various programmes and services that are available,” adds Nxumalo. Puleng says although she receives psychiatric care at the prison, she faces numerous challenges as a result of her mental disorder. She claims she is ceaselessly ridiculed for being a recipient of psychiatric care. The taunting comes from both inmates and prison officials, Puleng alleges. Moeketsi Nyareli sits in front of the one-room RDP house he shares with his mom in Evaton, South of Gauteng. It has been six months since the former policeman was released on parole after killing his wife in what he describes as dream-like, temporary insanity in 2009. For Nyareli, his six years in prison served as a time of healing and meditation. It provided a perspective on his mental illness. Nyareli was diagnosed with major depression shortly after he got married in 2007. He says his wife’s behaviour changed, which made him suspect her of infidelity. In December 2009, his psychologist advised him to take two weeks off from work. He says the doctor feared that he was at risk of causing harm to those he served as a policeman. He took the time off from work but this did not improve his situation as his marital problems persisted. On 16 December 2009, he attended a family gathering, which he claims his wife refused to attend with him. When he returned that evening, she was not at home and arrived after midnight in an unrecognisable vehicle. Nyareli says he saw himself physically assaulting his wife but was convinced it was a bad dream. Although Nyareli had a psychological disorder, he was deemed fit to stand trial and as a result, was held accountable for his actions. However, he says the court took his pre-existing diagnosis and the psychologist's intervention into consideration and reduced his sentence to 12 years in prison – down from the initial 15 years he faced. JICS spokesperson, Cupido explains that “it is the court who determines whether an inmate is fit to stand trial or not, as the inmate is referred for psychiatric evaluation at a psychiatric hospital. The court may then declare an inmate as a state patient. Only then will he/she be considered to be unfit to stand trial. “The court will look at each individual case. The Justice Department, the Judiciary and the Health Department work in accordance with the (Mental Health Care) Act to make a determination,” adds Cupido. While in prison, Nyareli enrolled in the Department of Correctional Services’ (DCS) numerous rehabilitation programmes, which he found therapeutic. He says that fateful night still haunts him, but he looks forward to rebuilding his life using the coping skills he discovered in prison. Now, however, he can no longer afford to see a psychologist. Nyareli’s case is a prison rehabilitation success story. This, however, is not the case for some inmates. Linda Thahane spent five years working at Johannesburg Medium B Prison as a Senior Litigation Paralegal for the DCS. She says her time working for the department gave her a front seat to observe the challenges inmates face within the correctional centre. Thahane says many inmates who require psychological intervention fall through the cracks of the overburdened system. Prison officials fail to identify cases that required further inquiry, often dismissing them as insignificant. “When you deal with inmates, you are dealing with people who do not trust the system. Secondly, you're dealing with people who abuse drugs,” she says. “So even if you find the inmate is exhibiting such symptoms – members (warders) would just say, 'Hayi, he's [high] on ganja or whatever.' Only to find that there are genuine points to consider that warrant some intervention,” she adds. 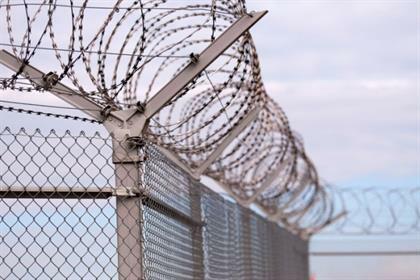 Psychologist Dr Sandra Hoffman has done extensive work at some of the country’s prisons including counselling at Cape Town’s notorious Pollsmoor prison for three years. She published three books, detailing her experiences as a prison psychologist. During her time working at the prison, she observed that laws governing mental health and incarceration were not always adhered to. “From my own perspective, what the law said and what actually happened, were two different things. There were often people who were obviously in great distress and when I collaborated with the medical doctor, and had the person sent to Valkenberg (a mental health facility in Cape Town), these inmates were often sent back the next day. As overcrowded as the prison is, so is Valkenberg. “In my view, not a lot has been done regarding mental health. We are stuck in the past. The best services are still given to the wealthy. 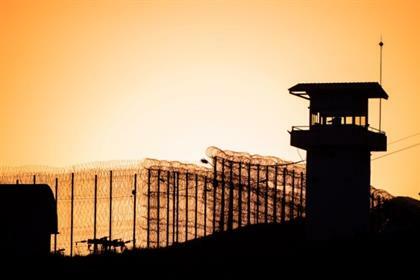 Even among inmates of prisons, the wealthy and those with more status and power have greater access to better legal and health care,” says Hoffman. DCS Spokesperson, Nxumalo, acknowledges that the correctional services mental healthcare could use a boost.